Kelly's Plumbing department includes an extensive selection of plumbing components for the home owner, home builder, and general construction customers. Our Irrigation product lines include the premium brands Toro, Nelson, Naan, Rain Bird, and Drip Mist. Our selection of Water Heaters includes all sizes of Ace Reliance water heaters, both electric and propane. We also offer Bosch AquaStar on-demand propane water heaters. 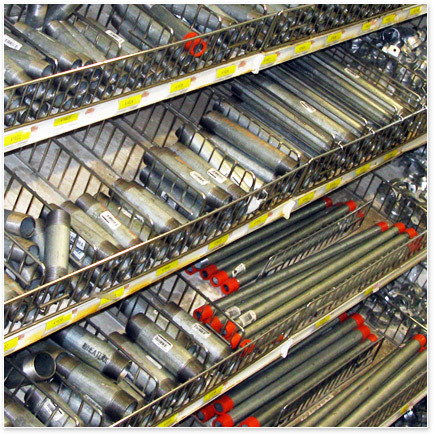 We have a large selection of pipe for your plumbing and irrigation needs. We carry a variety of sizes of PVC, CPVC, Copper, PEX, galvanized and black iron, ABS, DWV, 3034, ADS, and drain and sewer pipe. We carry low-gallonage toilets and related fixtures. We can special order plumbing items from many fine brands, including Kohler, American Standard, Peerless, Grohe, Elkay, and Price Pfister.